The mobile gaming industry is on fire right now as it continues to grow at a rapid rate. It’s said that mobile gaming now accounts for over 50% of global revenues when it comes to gaming, leaving console and PC gaming in its wake. With over 60% of smartphone owners installing new games within the first 7 days of getting their new handset, it shows just how popular mobile gaming is right now. You could say that mobile gaming has got to where it is due to it always being willing to incorporate the latest tech and trends. It’s one of the most innovative industries, with manufacturers always looking to ensure their devices are as forward thinking as possible, in order to give the user, the ultimate experience. 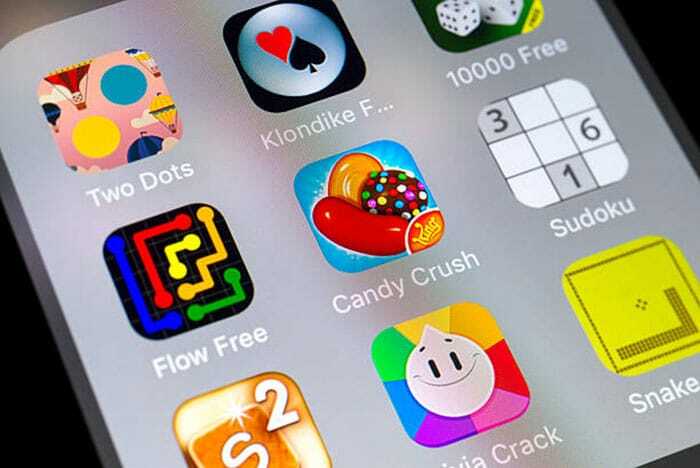 Let’s take a look at the top three trends changing the mobile gaming industry right now. While you could say that Virtual Reality has been round a while, Augmented Reality crashed onto the scene in a massive way thanks to Pokémon Go. These two pieces of technology are certainly the future as top manufacturers Apple and Samsung have already ensured their flagship devices are geared up for AR and VR too. Both pieces of tech are taking the gaming world by storm and they’re also having a huge impact in the mobile casino sector too, as they help to really deliver an authentic casino experience. While there is a huge amount of games for us to download and play from our respective app markets; with the focus being on creating extremely simple, yet enjoyable games. People love nothing more than being able to pick their smartphone out of their pocket and having a couple of goes on their favourite game. They may only have 5 or 10 minutes to spare though and therefore simplicity has become key over the last few years. They’re the perfect solution for the daily commute and for breaks at work. This trend has been reinforced with the increasing success of mFortune, a renowned mobile casino who creates their very own casino and slot games. Players love to load up a slot game and enjoy a few spins, whilst also having the potential of winning some cash too. If you’re a gamer, you will have heard of the term Battle Royale. It’s a type of game which sees players engaged in a huge battle, a free for all in many respects. This genre of game has fast become one of the most popular around right now thanks to titles such as PlayerUnknown’s Battlegrounds (PUBG) and Fortnite. The mobile gaming industry is now capitalising on the trend too, with both PUBG and Fortnite now available to play on the go, as well as new game releases. So for example, Call of Duty Black Ops 4 is due to release soon too, and this features a Battle Royale mode; could this be the next big game to hit the mobile sector?